Good News at the End of Legislative Session! 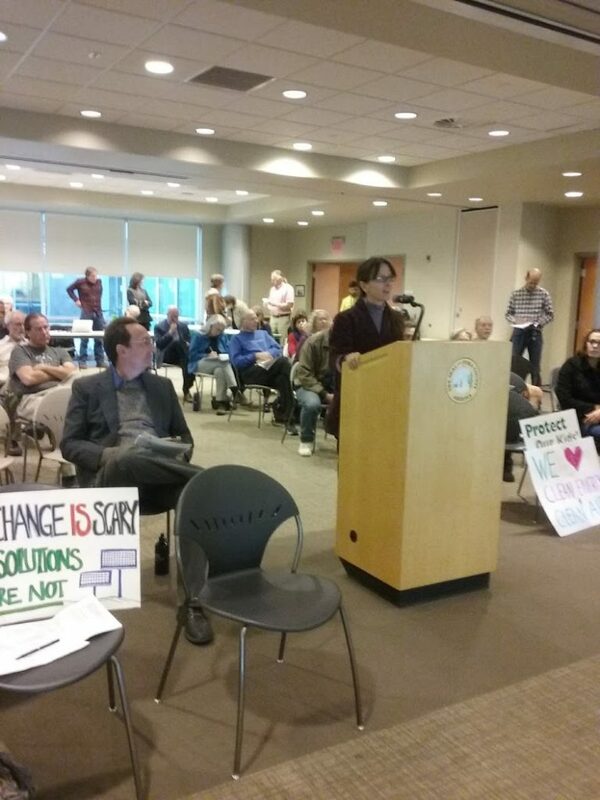 First, I want to thank all of you who signed or shared Sustainable Tucson’s letter to TEP asking the company to transition faster to clean energy and not install the 10 RICE gas-fired engines. Barbara L. Sherry and Billy Kovacs US Democratic Congressional Candidates AZ 02 came through for us! 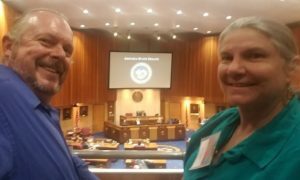 The Arizona state legislative session has ended and we have some good reasons to celebrate! Our advocacy paid off with several of the bills that we opposed not passing! Yay! Advocates! We saved a seat for you! On the good news front, the Arizona Legislature did not refer HCR2017 Now: renewable energy standards; corporation commission. 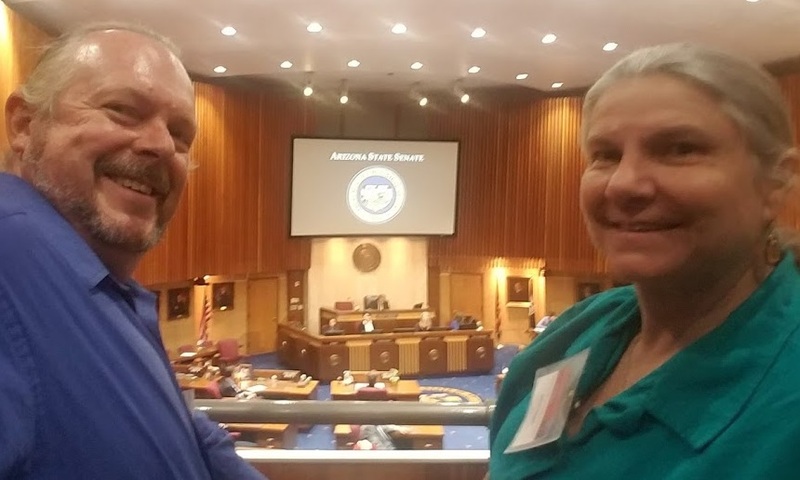 This proposed legislative referral intended to confuse voters and compete with and block the citizen initiative, Clean Energy for a Healthy Arizona, which seeks to increase our renewable energy standard to 50 percent by 2030. None of the remaining bad water bills advanced this session! Thanks to everyone who helped keep up the pressure and make it known that backsliding is not acceptable when it comes to water adequacy and protection of the San Pedro River. 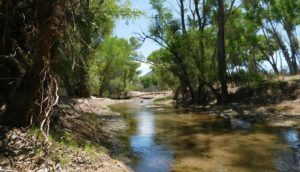 HB2512 water program amendments (Bowers) is a water omnibus bill that contains a number of provisions, but the most harmful aspect would weaken adequacy requirements for areas such as Cochise County and could cause further harm to the San Pedro River. This bill died in the Senate as it did not go to Committee of the Whole. HB2553 adequate water supply; county review (Bowers) is a stand-alone bill for weakening the adequacy requirements for areas such as Cochise County and further threatening the San Pedro River. This also died due to lack of action in the Senate COW. SB1515 adequate water supply; county review (Griffin) is the same as HB2553. This died in House Rules. In other good news, the Arizona Senate rejected the measure to significantly change the Independent Redistricting Commission, 13-15-2. SCR1034 membership; independent redistricting commission – included some negative commentary on the Independent Redistricting Commission and would have also required that the smallest and largest districts have a two percent or less difference in population. There was great concern from the Navajo Nation and other tribal communities that the requirement for the two percent or less difference would result in a dilution of their vote. Its rejection by the Senate is good news to all of us. SCR1005 NOW: state; municipal corporation; industrial pursuits had a second strike-everything amendment added to it regarding initiatives requiring expenditures; ten-year repeal. It would have referred to the ballot a measure that would repeal citizen initiatives with funding sources attached after 10 years. This was an attack on the citizen initiative process and would mean constant fights for important programs. It also died in the House Rules Committee. Unfortunately, the majority at the legislature decided to hit and run. The last bill they passed was a referral, HCR2007 clean elections; unlawful contributions; rulemaking (Coleman: Shope), to try and weaken the Clean Elections Commission’s authority and limit clean elections candidates’ ability to participate in coordinated campaigns or to access voter files for a reasonable rate. It passed along party lines in both the House and Senate, 17-12-1 and 33-24-3, respectively. The voters will make the ultimate decision on this, however, so please be sure to vote no and ask your friends and family to vote no. See! Keeping the pressure on our legislators can pay off! Lets keep up that pressure by voting out the legislators who didn’t represent us. Rusty Bowers certainly has his fingers in lots of pies that appear to be self serving or the opposite of what Arizona needs. As an employee of the EVIT-JTED Bowers pushed an alleged conflict of interest law to exclude certain teachers from a JTED board, that would apply to the very EVIT board he serves under, seems the ultimate conflict of interest. Of course the idea that a different board make up might not be so keen on his employment or Sally’s Oklahoma model never entered his mind. And carrying the water for Cochise land speculators might be a vehicle to help Maricopa and Pinal land speculators. Of course Gail Griffin has a long long history of wanting every square inch of Cochise county subdivided, whether there is any water to serve them doesn’t seem to matter. Thanks for sharing your insights, Frances!